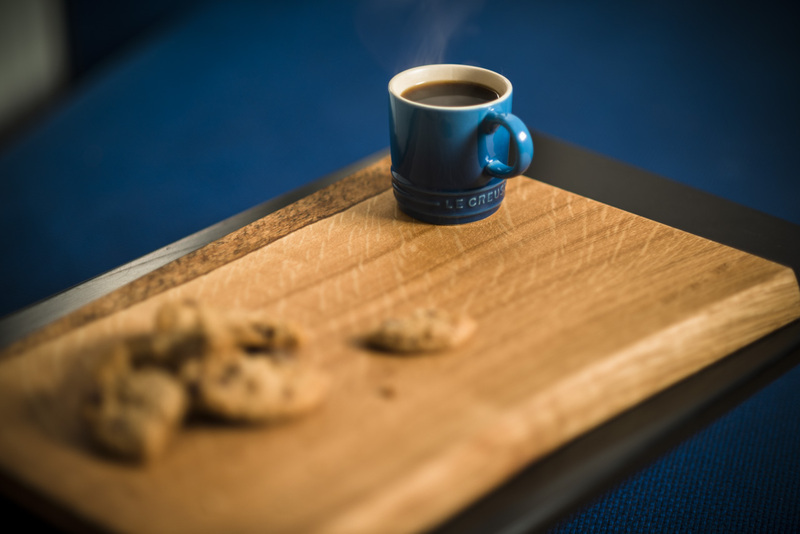 This solid English Oak espresso serving board comes with a ‘Le Creuset’ Espresso Cup. 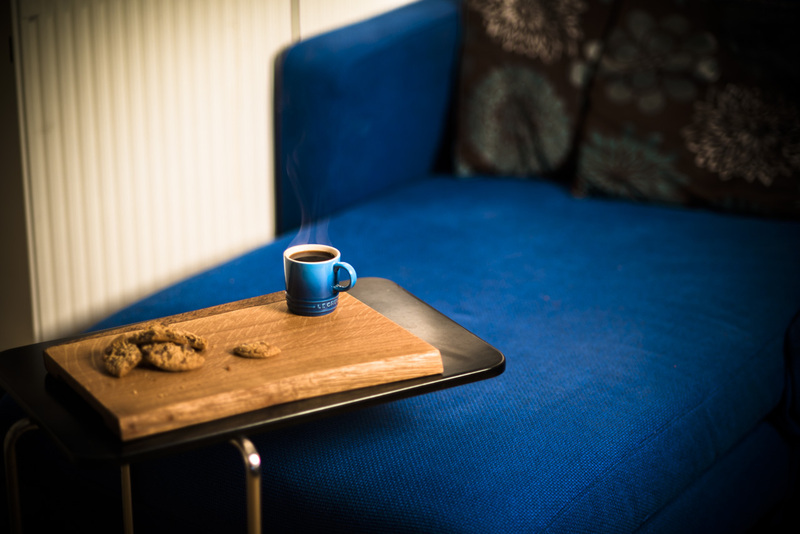 The inspiration for this piece was to celebrate the occasion of sitting down with an espresso and a sweet treat! This simple serving board has a recess where the Le Creuset Espresso Cup sits nice and snug so no risk of it sliding off when being manoeuvred. There’s plenty of space for a highly calorific sweet treat on the side.